Kate wrote us: below is our letter to The Guardian, following our protest at the US Embassy. No to Global Trumpism: Time for Action! 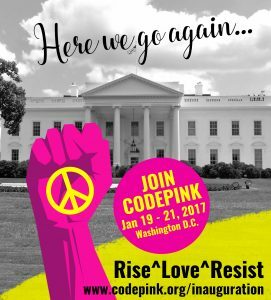 January 19 – 21, 2017 Washington, D.C.
Join CODEPINK for three days of Presidential Counter Inauguration activities in Washington, D.C. January 19-21. 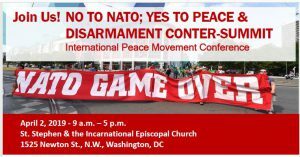 We will be participating in the Peace Ball, Occupy Inauguration, Disrupt J20, Women’s March on Washington, and more. NO to TRUMP and his Racism! 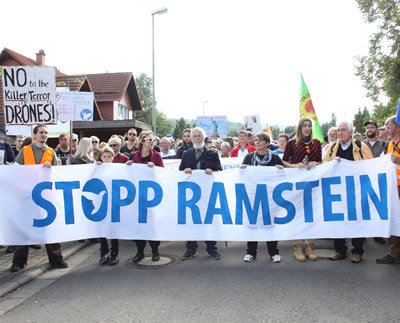 NO to the War at Home! We stand in solidarity with all oppressed people under attack at home and abroad! 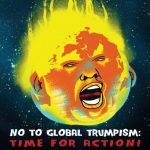 We urge full participation in the anti-Trump demonstrations! In reaction to Donald Trump’s election victory, tens of thousands of people, most of them youth, have taken to the streets across the country in militant protests to condemn the racism, sexism, Islamophobia and anti-immigrant bigotry that Trump represents. Many are fearful, especially immigrants, Muslims and LGBT people. Their rage and that of their supporters signify the movement that needs to be built to end racism, wars and the attacks on working people endemic in the U.S. today.